In the entire astrological arena, Ketu is regarded as one of the most malefic planets which have several negative and ill-effects on the natives depending upon the house in which the planet has its placement. When Ketu is placed in the second house then it has both positive as well as negative impacts depending upon its association with the Moon. When Ketu is placed in a benefic position then it offers professional as well as financial heights to the natives. When Ketu is placed in the second house of career, then the individuals are likely to drop their studies in between and start earning at a young age. The individuals might also travel to several foreign nations for business purpose and in order to earn a higher income. 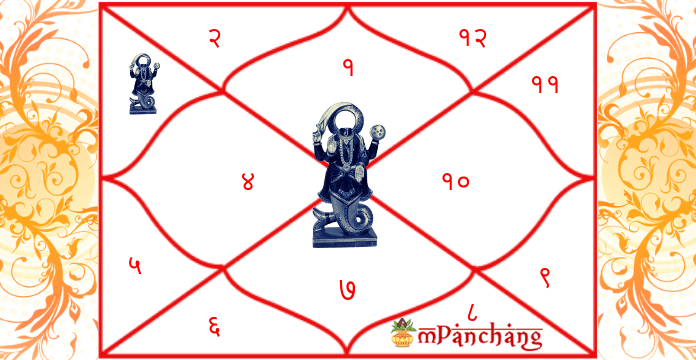 Read more: Does Ketu in 3rd House Of Birth Chart (Kundli) affect Life? When Ketu is placed in the second house of the male natives then it leads to speech disorders, stammering or impairment to the individual. It can make the natives highly unstable and agitated. Ketu might give a harsh speech to the natives and thus they are usually misunderstood by the people. when Ketu is in the second house of the female natives then such individuals are not fortunate in respect with the financial and family matters. They are likely to sell their assets like jewelry or properties in order to fulfill their liabilities. Such people are God-fearing individuals who avoid indulging themselves in immoral tasks. The natives who have Ketu in their 2nd house of Kundli might not receive any sort of support or cooperation from their immediate family members but the spouse and the in-laws may help both financially and emotionally. Because of the favorable position of Ketu in the second house of Kundli, the natives become highly knowledgeable and learned. Such people are likely to express themselves in an open manner as well as possess a desire to learn foreign languages. The individuals have a seriousness towards life and are of an indulgent kind. The placement of Ketu in 2nd house is moreover considered as negative only as the natives might face obstruction in education, have delayed success, feel dissatisfied at times and might find their life a waste. Ketu is regarded as a shadow planet and thus it can also shorten the lifespan of the individuals with its malefic nature. The positioning of the planet might cause imprisonment or bankruptcy to the native. It also offers a level of dissatisfaction in the individuals when it comes to the money matters. It may also lead to financial troubles. The natives are required to have positive thinking and must visit the Lord Bhairav temple frequently. With the help of the Janam Kundli analysis, you can also watch over that the actual reason behind your day-to-day problem might be the malefic placement of Ketu only. Click here, to get a Free Janam Kundali Analysis. The third house signifies a lot many things about the natives which are related to communication, inner spirit, and short journeys. Having the placement of Moon in the 3rd house of Janam Kundli offers a receptive mind to the natives enhancing their potential to grab a lot of knowledge and information. The presence of the Moon (chandra) makes the individuals learn the art of imitating. Its benefic placement can bring sensitivity to the actions and communication of the individuals. The third house represents short journeys, thus the placement of Moon also create chances for the natives to go to numerous nearby places or may have frequent weekend travels. Moon in the third house of career makes the native interesting in picking up new languages. They are inclined towards art, machines, and electronics or might get involved in activities related to agriculture or gardening. The natives are also likely to participate in various manual activities and might start their earnings from any such source. The natives who have Moon in their 3rd house of Kundli usually lack the competence to handle the responsibilities of marriage. They possess a strong desire to communicate and express their feelings to their partner. They are the key decision makers who like to take the decision on all sort of personal, professional and emotional matters. The placement of the Moon in the third house of the male natives makes them a good poet or writer but still, it would always remain a hobby for them, rather than being a full-fledged profession. Such natives also possess strong intuitive powers and are emotionally weak too. Such natives might also gain recognition in the field of singing, acting or dancing. When the Moon is in the 3rd house of the female natives then they act as great mediators for their friends, mates, siblings, and relatives. They hold a creative persona which makes them great artists. The third house also signifies siblings which depict that because of the presence of Moon in the house, the individuals are likely to have a great attachment with their brothers or sisters. Because of the favorable position of Moon in the third house of Kundli, the individuals are quite emotional and sensitive especially when it comes to certain matters. 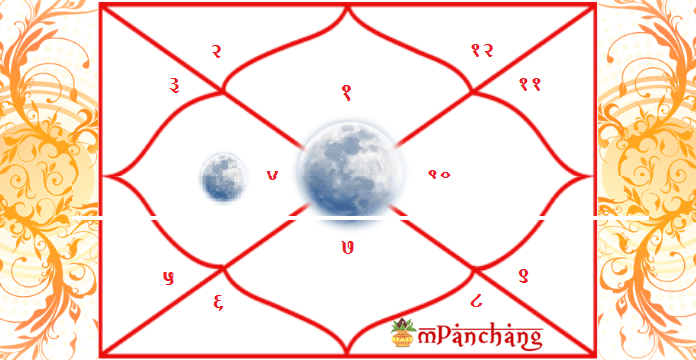 Presence of the Moon (chandra) in the third house is advantageous in every manner and it helps the native in getting great outcomes and success in all their endeavors. Moon in the third house of the horoscope makes the natives restless. Such people might not have a long-term association with others as they possess a tendency to frequently move to different places as well as they keep on changing their minds and choices in life. Different phases of life are controlled by a diverse set of planetary arrangement and it mainly depends upon your natal chart and the placements of the planets to predict how positive or negative the future events would be. To get to know more about your future, understand, how Kundli works and what is the importance of Kundli. How Mercury in the 2nd House Affects Our Life? Mercury is the planet which depicts knowledge and intelligence as well as its placement signifies in what specific area or field the natives will use their intellectual prowess. 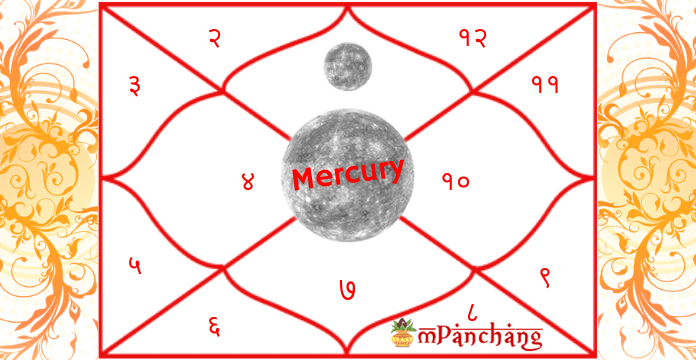 The placement of Mercury in the 2nd house in the Kundli offers a spiritual and philosophical persona to the native. It also develops a practical vision of the individuals which makes them efficient in money making through working on a practical and logical path. In respect to the finances, the natives easily find several ways to make money by making use of their intellectual power. The placement of Mercury in the second house of career helps the native in attaining a lot of material possessions and gaining money from various endeavors. It makes the natives good at finances and thus they can become renowned financial analysts, and accountants. When Mercury is benefic in nature then it blesses the individuals with positive outcomes and better results related to the various aspects of life comprising health, finance, profession, and marriage. When Mercury is placed in the 2nd house of the male natives then money is a constant factor in their life. They are too rigid at times when it comes to grabbing the opportunities for monetary gains which makes them highly materialistic in nature. Self-esteem and self-identification are the two major aspects of the personality of the natives having Mercury in their second house. The placement of Mercury in the 2nd house of the female natives blesses them with a sweet speech, diplomatic skills and also makes them quick learners. These natives are likely to become articulate speakers as the placement of Mercury offers good communication skills as the second house also represents communication and speech. Because of the favorable position of Mercury in the second house of Kundli, the natives are likely to have great memory which can support them in acquiring a lot of knowledge and experience in their lives. These individuals are likely to gain from all such aspects which are related to planet Venus and Mars and thus gain huge wealth and recognition in their life. Such individuals are also likely to achieve financial gains in speculative trading. Mercury in the second house of the horoscope also brings difficulties in the life of the natives. The malefic nature of Mercury can bring various problems in the lives of the natives such as it can make the individuals lose their wealth because of wrong decisions taken recklessly. The individuals also spend profoundly on unnecessary things which can create debt on them. The individuals are also required to keep a check on their hidden enemies as they can destroy the wealth, happiness and lives of the natives. Being a Mercurian mind, the native would not refrain from indulging in any sort of economic fraud for getting benefit out of it. Because of their egoistic attitude, they might spend their later life in solitude. 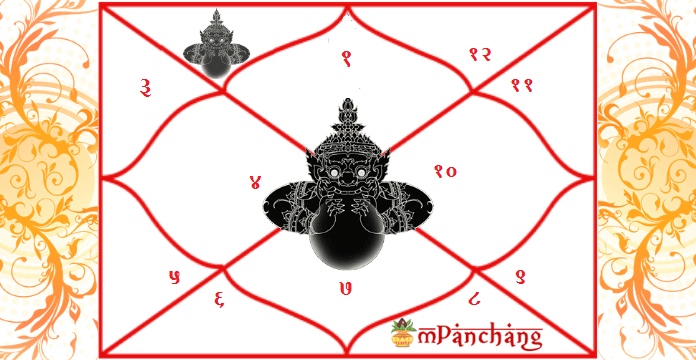 How Rahu in the second house affects our life? Impact of Rahu in the 2nd House of Kundli! Rahu is regarded as a revolutionary planet in the horoscope. Naturally, the placement of Rahu in a specific planet depicts the area where the native will feel isolated and lack peace of mind. It ultimately brings dissatisfaction in the lives of the individuals. 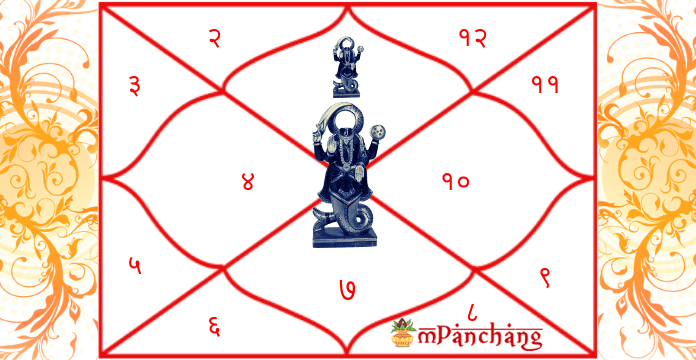 There is a high level of mental stress and restlessness that is associated with the positioning of Rahu in the houses where the placement of Rahu is regarded as malefic. The individuals who have Rahu in the 2nd house in the Kundli are often hungry for acquiring several treasures and materialistic comforts which can be gained from the collection of valuables, money, historical possessions or knowledge. 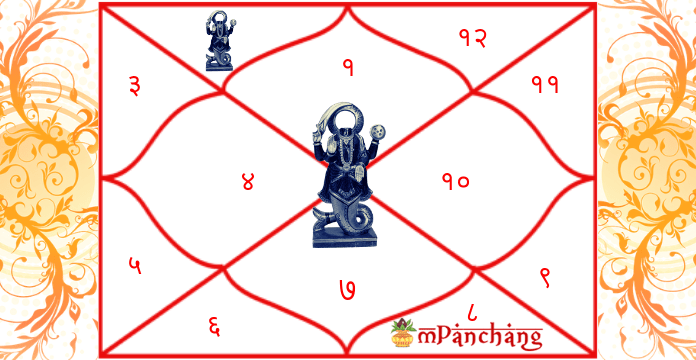 The placement of Rahu in the second house of career is considered as positive. The natives are likely to attain proficiency and mastery in learning different languages. They might get involved in the profession or career related to the field of historic values or heritage. When Rahu is in the second house of the male natives then the natives are likely to be prone to various credit and financial issues and therefore they should refrain themselves from taking bank loans. The individuals might experience malefic effects of Rahu and so had to live in isolation for several years. Because of the malefic effects of Rahu, the individuals might attain a painful experience from their marriage but still, there are chances that they can reap benefits and uplift their social standing through their second marriage. When Rahu is in the second house of the female natives then they are likely to get rich life partners and also might have access to all royalties of life. They possess a tendency to influence people with their strong communication skills. The natives are inclined towards social recognition and knowledge. Rahu has both benefic as well as malefic effects upon the native’s life. The presence of Rahu in the second house of the horoscope can make the natives poor as well as prone to throat related infections. Such individuals might take improper judgment when it comes to managing finances and dealing with money. They might have a lot of hidden enemies who secretly want to harm them and deteriorate their health and wealth. Losing the hard-earned finances is one of the most common and usual aspects of your Kundali when Rahu is placed in the second house. 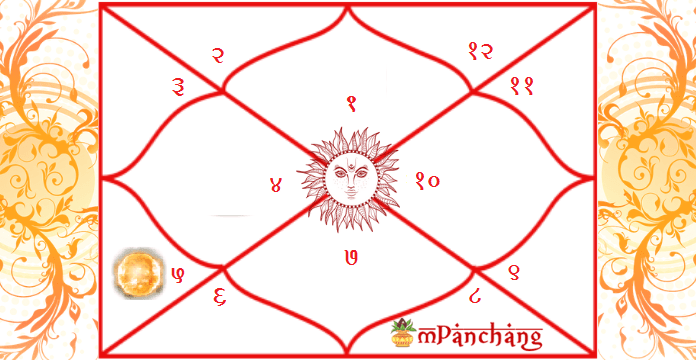 The Birth Chart or the Janam Kundli is similar to a zip file of an individual’s life which comprises of the past, present and future events of the native. All the phases are summarized and usually put in a single chart. Analysis of the Janam Kundli is the most effective manner to get insights into human life. 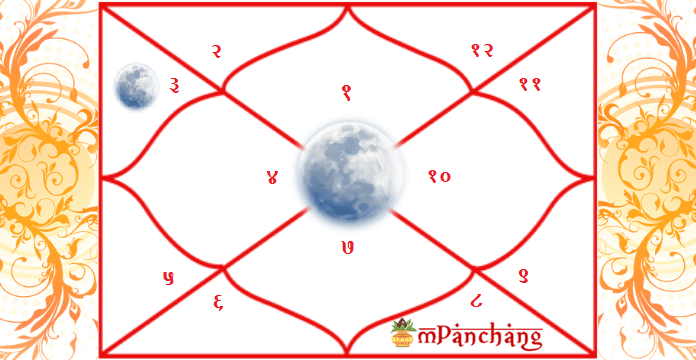 You can also know about the several planetary positions in your Kundali and their meaning and would be able to know how Kundli works. Get Your Free Janam Kundli Analysis Now! Does Ketu in the 3rd House Of Birth Chart (Janam Kundli) affect Our Life? Ketu is regarded as an influential and shadowy planet which has a lot of malefic effects on the lives of the natives. But when it is placed in the 3rd house in the Kundli then it is likely to have positive impacts on the life of the native. Such individuals are likely to earn huge recognition and a lot of wealth in their lives. There are lot many favorable results of such kind of planetary arrangement according to the birth chart astrology. The natives are bestowed with sound money management skills and thus they are not likely to face any sort of hardships or problems when it comes to money related matters. The placement of Ketu in the third house of career is regarded as positive in nature. They are courageous and have a huge interest in politics and would likely to build their career in this field only. They seek popularity and recognition combined with authority and thus they work hard to get a position and to control others. The appearance of the Ketu in the 3rd house of the male natives makes them valorous and active. The natives might face some minor injuries because of such positioning of Ketu which may further lead to big health issues. The positioning of Ketu is in the 3rd house of the male natives makes them quite sociable and helpful to others whosoever is in need. These natives are likely to be sturdy and strong with an inclination towards spirituality. Such individuals are likely to gain immense wealth and recognition through virtuous and religious acts. The placement of Ketu in the 3rd house of the female natives makes them extremely religious. They are not likely to have a cordial and smooth relationship with their younger siblings. The natives are likely to indulge in short journeys on a frequent basis. They might get a job or profession which involve a lot of traveling. The natives must be cautious enough while playing or doing some tough job as there are chances of hurting the right arm. But because of the favorable aspect of Ketu, these injuries would not last long and would give minimum pain to the native. Because of the ill and malefic effects of Ketu in the third house 0f the horoscope, there can be certain problems in the marital alliance of the native such as arguments, separation or frequent fights. The individuals might also face issues in their profession such as delayed success, a lot of hardships in establishing themselves and might get jobless for a temporary period. To overcome the malefic effects, the natives must wear gold and should also offer rice and jaggery in the flowing water. Such remedies would help in reducing the impacts of Ketu. The importance of Kundali is predominant when understanding what is going in one’s life. Click here, to get a Free Janam Kundali Analysis. 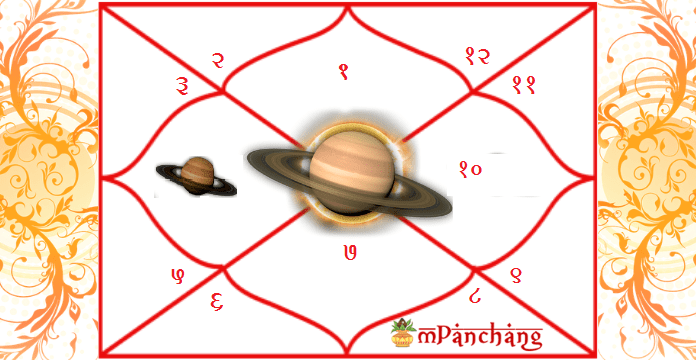 The placement of various planets in different houses of the birth chart has a diverse set of impact on the life of the natives. To know in detail the actual impact that is caused due to the specific planetary arrangement, there is a need to understand the importance of Kundli and go for free Janam Kundli analysis. Such analysis helps in getting the insights of the past, present, and future events and also save oneself from unnecessary troubles. The fourth house of the natal chart of the native denotes a lot more about the individual comprising mother, property, family, domestic life and various other aspects. When Saturn is placed in the fourth house of the birth chart then it creates a lot of difficulties for the native. The planetary arrangement is not regarded as favorable for the individuals. The natives are likely to be deprived of happiness in their early life or childhood. They are likely to face a lot of suffering and problems at their young age which will make them a person having a rigid attitude. The natives will get mature and responsible during their teenage only and would remain too serious in all the endeavors of their life. Placement of Saturn in the fourth house of career makes the natives inclined towards doing their own business instead of getting into a job. But the natives might experience failures, losses and even have to change their business line because of continuous obstacles. But they are likely to achieve success in their career after the age of 35 years. The natives might have their involvement in the field such as mines, farming, land of any other inherent property. The individuals are likely to earn wealth by dealing in the above-mentioned fields. The positioning of Saturn in the 4th house of the male natives makes them inclined towards, heritage, culture, traditions, antique things and historical aspects. Such natives refrain themselves from adopting any sort of change and thus remain stable and firm on things. And when Saturn is placed in the 4th house of the female’s birth chart then they are likely to learn a lot from their mistakes. They have a tendency to analyze more and speak less and therefore they have their own views regarding everything. They are likely to become great mothers who offer every possible comfort to their children. The fourth house of the birth chart represents mental peace, mother, possessions, domestic life, property and the family of the native. It becomes significant to go for Kundli analysis to understand the positioning of the various planets in the natal chart. When the placement of the Moon is in the fourth house of the birth chart then it clearly shows that the native would be very close and attached to his or her mother. The connection with the native place would also be very strong and inseparable. Both heritage and traditions, as well as family, is much important for these individuals. If there is any sort of imbalance or stress that exists in the domestic life then the native gets highly influenced by all such aspects and it makes them all distressed and unhappy. Placement of the Moon in the fourth house of career makes the natives inclined towards social work and they are much likely to take it as their profession. They can either become a social activist or indulge in providing social services to the needy. The natives are emotionally stable and possess a lot of empathy. Hence, they like to serve others with all their efforts and are also likely to gain much recognition in social work. Presence of Moon in the 4th house of the male natives makes them highly intuitive and they like to work as per their intuitions only. These natives struggle because of their constant insecurities. They are highly fluctuating when it comes to their responses based on emotions. And when Moon is in the 4th house of the female natives then they love to spend most of their time with their family. They like to work but only if it offers them a chance to work from home only. Such individuals are likely to become successful freelancers. The placement of Moon in the fourth house makes the natives nurturing and caring individuals. The financial position of the natives would be strong as well as there are chances of higher studies too. There might be some sort of difficulties in the marriage of the native which can cause delayed marriage or divorce. Under the malefic effects, the individuals might feel emotionally weak and may not able to do good in their profession. There would be a lot of expenditure which will cause a decrease in the overall wealth of the native. Place a jar of milk in the house before initiating with any auspicious work. The natives must visit the holy places or the pilgrims with their grandfather in order to seek maximum blessings of the deities. How Mercury in the 1st House Affects Our Life? According to astrology, the 1st house in the Kundli denotes the various personality traits of a person. The placement of the planet Mercury in the 1st house plays a vital role in making the native intellectual as well as mentally strong. 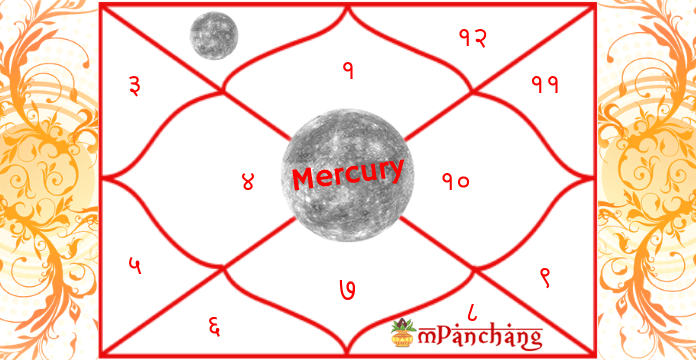 Mercury is considered a favorable planet which helps the native in leading a successful and satisfactory life. The natives are bestowed with supreme knowledge and an inherent charm and give a creative and vivacious edge to one’s personality. Get free janam kundli analysis online. The placement of Mercury in the first house of career is regarded as efficient and literal which is usually found in the horoscope of journalists, speakers, mediators, teachers or writers. Such natives seek info and knowledge from all possible means. They desire to grab information about everything in an in-depth manner. The natives who have Mercury in their 1st house of Kundli usually get quick solutions to the problems as well as they possess easiness in sharing their views and opinions with others. But they must be cautious while channelizing their ideas and opinions. If there is not any set objective in their lives, then they usually act restlessly. The planet also offers the native a balanced approach to marriage and relationships. The appearance of the planet in the 1st house of the male natives makes them a little mischievous and selfish in nature. The individuals are likely to attain great wealth in a shorter span of time. The presence of Mercury in the 1st house of Kundli makes you more inclined and concerned towards materialistic desires, social status, and lifestyle. The individuals possess huge excitement to reveal the hidden things and paths in life. The placement of Mercury in the 1st house of the female natives bestow them with the art of influencing other people. Such females might live a long life and likely to get favored by her daughters. The natives are likely to be highly flexible and adaptive in nature which thus offers them strength to deal with all sort of situations. Because of the favorable position of Mercury in the house of Kundli, the natives might receive good education which can further help them in achieving new heights and also getting fame for their knowledge and capabilities. If there is a favorable alignment with the Sun, the ruler of the first house, then there are a lot of chances that the native will do great in life and would achieve huge recognition and growth for their work. The natives are likely to be offered with an authoritative and powerful position at work with the positive impacts of Mercury. Such individuals are blessed with strong communication skills as well as have the power to imagine, argument and analyze things in the most effective manner. Mercury in the first house of the horoscope makes the natives restless, anxious and critical at times. These people refrain themselves from indulging in any sort of unfair practice but at the same time are likely to provoke others for using illegal and unfair means to accomplish their tasks.